The title is set for the publication: Petersburg - Petrograd - Leningrad: album-catalog of photo postcards 1895-1945. T. 5: Petrograd, 1917-1924. St. Petersburg, 2016. P. 43. On the front side of the title: Time. Ex. committee of the State Duma and number 352. 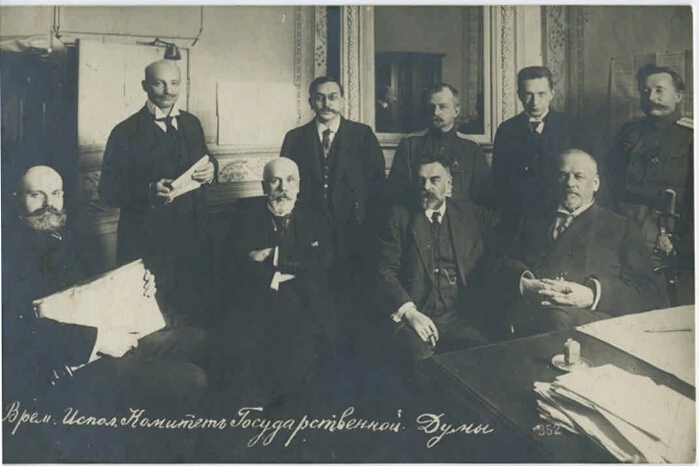 Electronic reproduction of the postcard: Members of the Provisional Committee of the State Duma. Sit (from left to right): GE Lvov, VA Rzhevsky, SI Shidlovsky, MV Rodzianko. Stand: VV Shulgin, II Dmitrukov, BA Engelgardt (commandant of the Petrograd garrison), AF Kerensky, MA Karaulov [Izomaterial] / [photo by VK Bulla]. [Petrograd, 1917]. 1 postcard: offset. Location: GMP "Peterhof". I. Bulla, Victor Karlovich (photographer, 1883-1938). II. Presidential Library (St. Petersburg) .1. Lvov, George Evgenievich (1861 - 1925). 2. Rzhevsky, Vladimir Alekseevich (1865-?). 3. Shidlovsky, Sergei Iliodorovich (1861-1922). 4. Rodzianko, Mikhail Vladimirovich (1859-1924). 5. Shulgin, Vasily Vitalievich (1878 - 1976). 6. Dmitriyukov, Ivan Ivanovich (1872-1918). 7. Engelgardt, Boris Alexandrovich (1877-1962). 8. Kerensky, Alexander Fedorovich (1881 - 1970). 9. Karaulov, Mikhail Alexandrovich (1878-1917). 10. Russia (1917, February-October). The State Duma. Interim Committee - Postcards. 11. Postcards in the Presidential Library fund (collection). 12. Russia in the faces (collection). 13. Power (collection). 14. 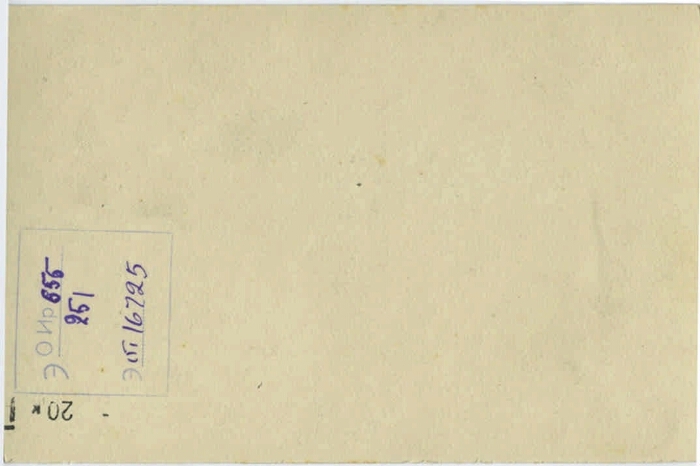 1917: February-October (collection). 15. Territory of Russia: St. Petersburg, city (collection). 16. February bourgeois-democratic revolution - Petrograd, the city - 1917 - Postcards. 17. Documentary cards - Russia - 1909-1917.